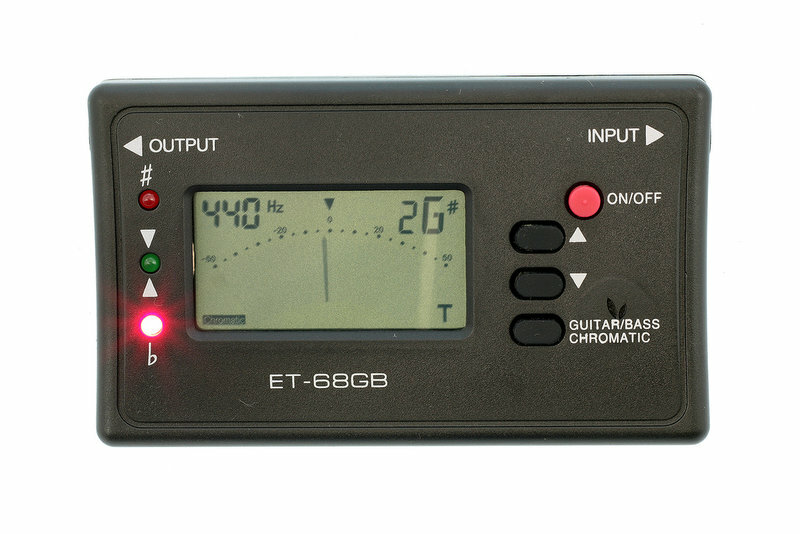 ENO ET 68GB Guitar/Bass Tuner/ Chromatic A4 Frequency 435 Hz 445 Hz Guitar / Bass / Chromatic Tuner w. LED Indicator A4 Frequency 435 445 Hz Tuning Mode Guitar Bass Chromatic Tuning Range for hromatic A0 (27.5HZ ) a3(1 760Hz) Tuning Range for Guitar 1E 6E (E/B/G/D/A/E) Tuning range for Bass 1G 4E (G/D/A/E) Small and exquisite appearance it is convenient to carry. Colorful LED indicator light xcellent visibility. Auto string tuner modify tone accurately and fast. Energy saving it will be automatically powered off after no operation for 3 minutes.